Learn all about the upcoming iOS 11, including its release date, top features, and biggest changes from iOS 10. Apple's iOS 11 brings a new voice to Siri, improvements to Messages. indoor maps, a file drawer and more. Here are the highlights. When will iOS 11 be available? Can I test the iOS 11 public beta? iOS 11 is the next generation of Apple's operating system for iPhones and iPads. New features include sweeping new upgrades to Siri, a redesigned Control Center and App Store, and a brand-new Apple Pay feature that lets you send or receive money to your contacts via iMessage. In addition, developers can now create apps that tap into your iOS device’s potential to create augmented reality experiences via the new ARKit. Plus, there are new productivity features for the iPad, including drag-and-drop capability and a new Mac-style Dock. Here’s everything we know so far about iOS 11, plus a bunch of the new features that we can’t wait to try. Editors’ note: We’ve updated this story to include a link to our full review of iOS 11 and the availability of Apple Pay Cash in the fall. 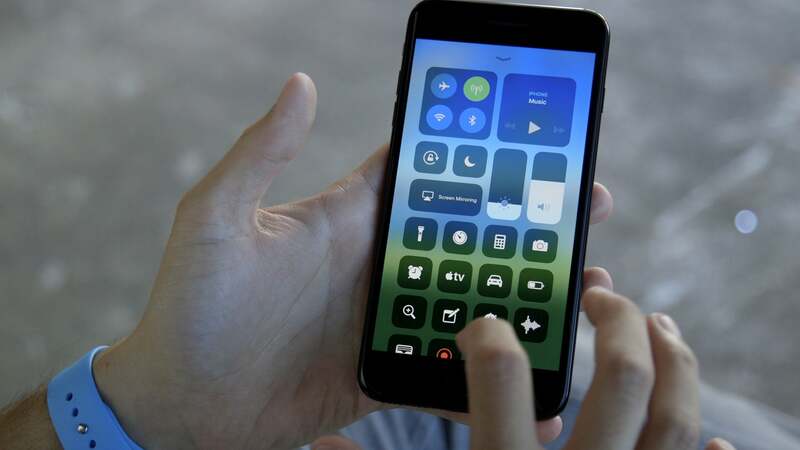 What can iOS 11 do for you? A lot, especially if you are a serious iPad user. It's great for the iPhone, too. You can get the details in our full review of iOS 11. 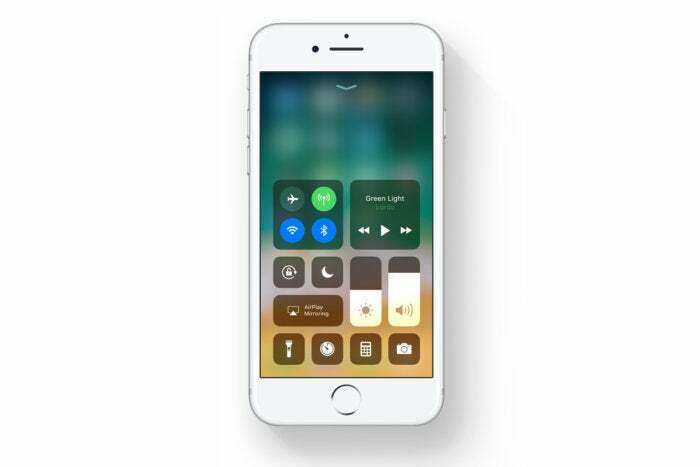 At Apple’s iPhone X event, the company announced that iOS 11 will be available on September 19, 2017. The company held true to that promise; iOS is available now. We have complete instructions here. You can install iOS 11 directly on your device, or you can connect it to your Mac and then do the installation. Either way works. Yes, Apple released the first public beta on Monday, June 26—and anyone can give it a whirl (at their own risk). Here’s everything you need to know about how to safely install the iOS 11 public beta. Just remember that this is a beta version of the new software, so make sure you backup your iOS device before venturing into this unknown territory. Better yet, we recommend installing the public beta profile on a secondary iOS device (if you have one) so that you can test it without fear that it will screw something up. Apple continues to release public betas after the final version is released. You get betas of the iOS 11 updates before they are available to the public. The first new thing you’ll notice about Siri in iOS 11 is her more-natural sounding voice. However, she also looks a little different: Apple has given its voice assistant a new visual interface that surfaces multiple results for your requests, as well as followup questions. In addition, Siri can now translate phrases for you, from English to Chinese, French, German, Italian, and Spanish. This feature is in beta, and Apple will add more languages in the months to come. Siri has also become more predictive across different iOS apps. For example, if you search for “Iceland” in Safari, Siri will surface Iceland-related articles in the News app and bring up QuickType suggestions in Icelandic. Or, if you get a text message asking for money, Siri will suggest iMessage’s Apple Pay integration with the exact amount that’s been requested. Apple has also expanded SiriKit support to include more robust integrations with third-party services. 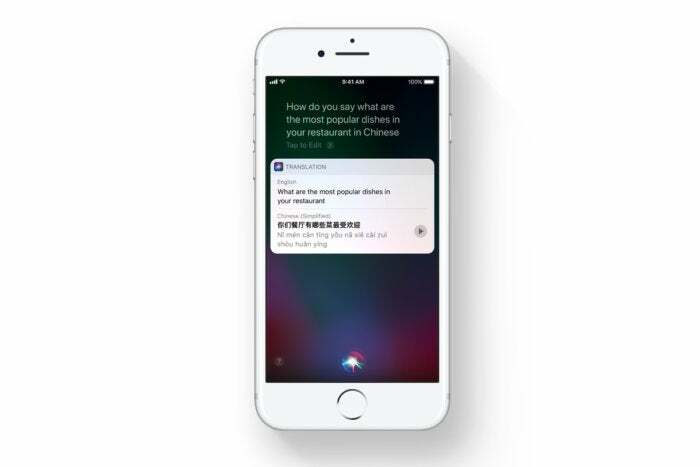 You can now use Siri to add to your Evernote or pull up a QR code in WeChat, among other things. How is Apple Pay more like Venmo? You can use Apple Pay at certain brick-and-mortar stores (Apple says 50 percent of U.S. retailers will support Apple Pay by the end of the year), online web stores via Safari, and in certain iPhone apps. 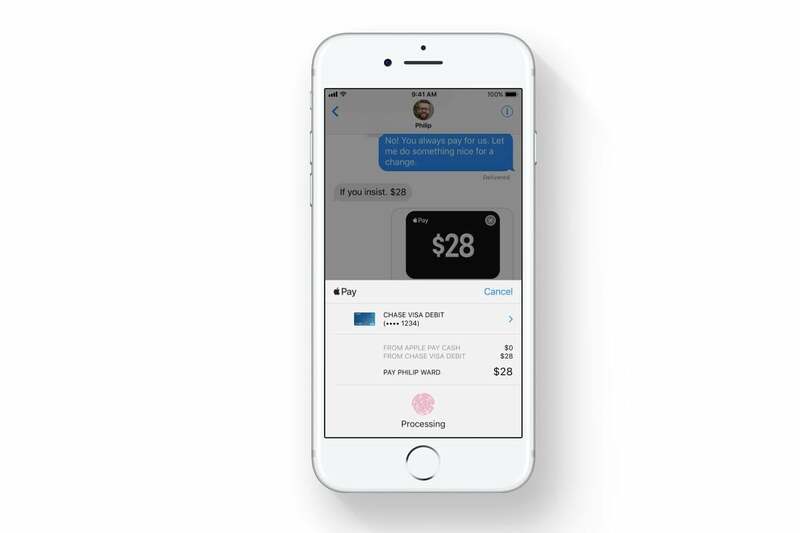 With iOS 11, you’ll be able to use Apple Pay to send or receive money from your contacts via Messages, thanks to a new iMessage app which essentially turns Apple Pay into your new Venmo or Square Cash alternative. All the money that you receive will be collected in your Wallet app in the form of a Cash card. You can use these funds to complete other Apple Pay transactions, or you can transfer that cash over to your bank account. Apple Pay’s peer-to-peer transactions will be available in iOS 11 and watchOS 4. In a press release announcing the availability of iOS 11, Apple stated that the new Apple Pay features won't be available when iOS 11 is released on September 19. Apple says that these feature will be in an iOS update released in the fall. Can I do more with Live Photos? Yes! Apple has given us more editing tools for Live Photos, those moving images that you can take using an iPhone 6s and later. You can turn your Live Photos into video loops that replay over... and over... and over. The Photos app will even suggest Live Photos that would make for great loops. You can also add a “Bounce” effect so that the Live Photo plays and then rewinds, kind of like Instagram Boomerangs. There’s also a new Long Exposure effect which makes the iPhone even more like a DSLR. Don’t Live Photos take up a lot of space? That’s true, but thankfully Apple has addressed this issue by switching to a more space efficient encoding system. For videos, iOS 11 uses HEVC (aka H.265), which is twice as efficient as the previous H.264 format. For still photos, iOS 11 uses HEIF (High Efficiency Image Format) which Apple claims will take up only half the space. Where will I be able to use Maps indoors? Apple continues to improve the native Maps app in iOS 11. For the first time, you’ll be able to use Maps to navigate your way around indoor spaces. Maps in iOS 11 introduces indoor mapping so you can get detailed floor plans of certain malls and major airports, down to individual vendors on each floor. 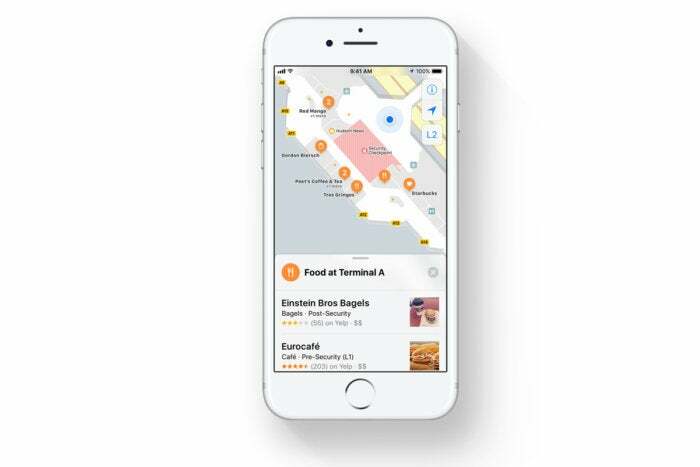 To start off, Maps will have indoor support for malls in Boston, Chicago, Hong Kong, London, Los Angeles, New York, Philadelphia, San Francisco, San Jose, Tokyo, and Washington D.C. Maps will also be able to show you around inside 30 major airports including JFK and London Heathrow. Learn more about Maps. How does “Do Not Disturb While Driving” work? Another feature introduced at WWDC is iOS 11’s “Do Not Disturb While Driving” mode. Your iPhone will use Bluetooth (if connected to CarPlay or any other in-vehicle Bluetooth system) or motion sensors to figure out if you’re driving, and will automatically prevent all notifications from surfacing and causing a distraction. You can override this mode, however, or setup an automatic response to let people who text you know you’re on the road and that you’ll get back to them as soon as you arrive at your destination. Learn more about Do Not Disturb While Driving. What about iOS 11 augmented reality? Tim Cook has spent all year talking about how excited he is for augmented reality, so it’s no surprise that Apple used this year’s WWDC keynote to show off what they’ve been working on in this emerging area. Alongside iOS 11, Apple unveiled ARKit, a new developer platform for creating iOS apps that tap into augmented reality. Apps built with ARKit will be able to use computer vision to identify surfaces and add 3D objects. These objects create dynamic shadows that are rendered in real-time. iOS 11 will be released this fall. In the meantime, companies are posting videos of what can be done with ARKit. For example, Kabaq is showing how AR can be used by restaurants to enhance their menus. The video below demonstrates how the company uses ARKit. This video below is a trailer for a game called ARZombi. ARKit was used so your location gets incorporated into the game. One more video below: This one is another game, called RoVR. 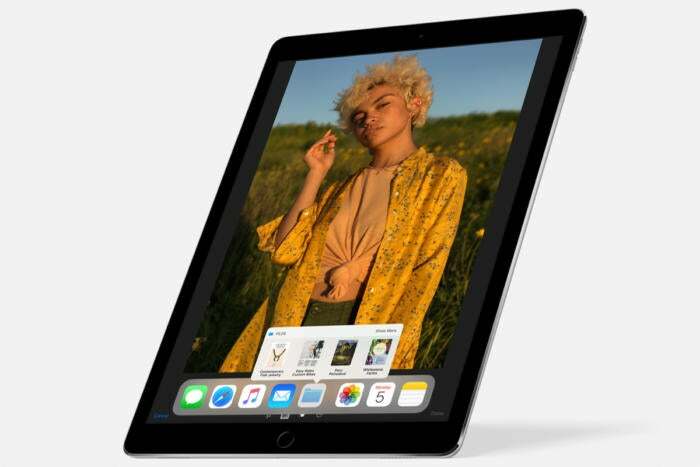 Did the iPad get more macOS-type features? You bet! There’s a new app Dock that looks a lot like the one in macOS, making it a lot easier to switch between apps. You can also press on any of these apps and drag them over to the right side of the screen to open them as a Slide Over. As always, you can lock Slide Over into Split View to use both apps simultaneously. The Dock can be accessed from any screen and you can customize it with your favorite apps. Also, it has a dynamic section on the right side that changes to suggest recently-used apps across your Apple devices. Learn more about the Dock. What about iOS 11 drag-and-drop? Yes! Apple finally answered our prayers. With iOS 11, you can drag-and-drop between the two apps in Split View, which makes it easier to transfer files, images, text, and URLs. You can drag-attach images from the Photos to Mail, or drag-copy-and-paste directions from Safari into Maps. Learn more about drag-and-drop. And how does the new Files app work? Apple also launched Files, a new iOS app intended to make the iPad experience more like a traditional Mac. Pretty self-explanatory, Files displays your documents stored in iCloud, Dropbox, Google Drive, and other file-storage apps. Are there new ways to use Apple Pencil? Yes, Apple has expanded Apple Pencil support for iPad Pro in iOS 11. Tap a PDF or screenshot with the tip of the Pencil and you’ll be able to scribble on it instantly thanks to a new feature called Instant Markup. Similarly, you can Pencil tap on the Lock screen to start writing. All your handwritten creations will be automatically saved to your Notes app, and these handwritten notes are searchable, too. Notes also has a new built-in Document Scanner, allowing you to scan a document, sign it or mark on it with Apple Pencil, then save or share—all with just your iPad Pro. In addition, Notes and Mail now support Inline Drawing so you can add some color to your emails and notes. The text will automatically move out of the way when you start drawing, so that everything remains legible. Learn more about Notes. Control Center has been redesigned so that it’s only one panel. You can customize it with your go-to’s like Low-Power Mode and use 3D Touch to adjust more-specific controls. Learn more about Control Center. App Store now mirrors the look-and-feel of Apple Music, with a new Today tab for featured games and apps. Learn more about the App Store. Messages App Drawer makes it easier to access your favorite iMessage apps by swiping across the bottom of the screen, instead of having to tap back to the drawer every time you want to switch apps. Apple Music gets more social: New profile photos indicate when one of your friends has listened to a certain albums or playlist. QuickType Keyboard is now easier to use one-handed. Simply long-press on the emoji key to bring the keys closer to your thumb. For iPad users, you can now flick down on a specific key to type a number or punctuation mark, instead of having to switch to the symbols keyboard. Learn more about the one-handed and QuickType keyboards. Stay tuned for more iOS 11 coverage, including hidden features, tips and tricks, and how-to’s for making the most out of your iPhone and iPad. We’ll continue to update this story as more info becomes available.